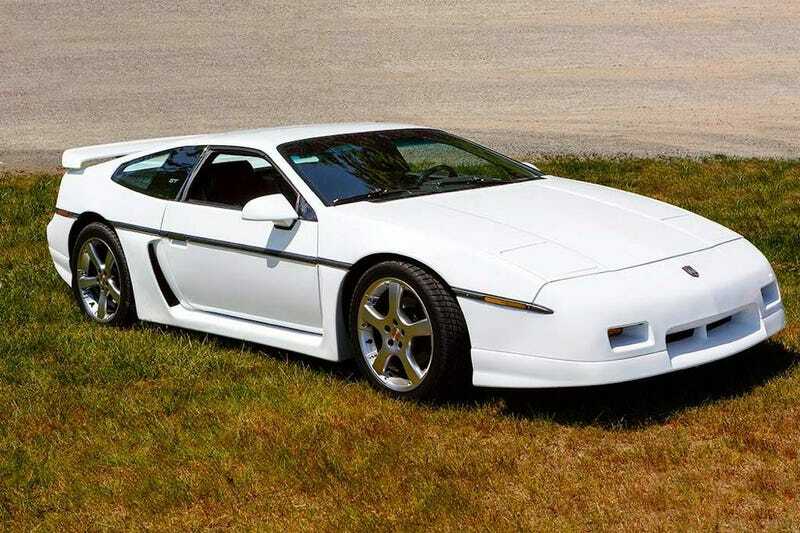 At $18,000, Could This Custom Chopped 1987 Pontiac Fiero V8 Lower The Boom? I’m going to go out on a limb here and state that I think the Pontiac Fiero is a national treasure. Today’s Nice Price or Crack Pipe V8-Archie edition is even more so, but we’ll have to see if its price is asking for too much of your treasure. SirMixaLot never rapped that “Baby Got Back Seat Legroom” which is a shame. If he had, he probably would have been referring to a car like yesterday’s 1984 Chrysler Executive Sedan, which offered up NBA-caliber rear seat space. Unfortunately for its seller, the other thing it offered up was being a K-car, and while a rare edition of the company’s savior, in the very end, it was still a K-car. That fact forced its $3,750 price tag to be seen in an unfavorable light by 59 percent of you, and it fell in an executive class Crack Pipe loss. Some people claim to work hard and to play hard, and it’s not hard to imagine playing in today’s audacious 1987 Pontiac Fiero. That’s owed to customizations both obvious—a lowered roofline—and not so immediately evident—a crate Chevy V8 sitting crosslegged in the back under those now limbo-friendly flying buttresses. Both the chop and the Chevy are the work of V8 Archie, who is pretty much the go to shop for such work. In fact, this specific car—#8 out of 27 that Archie has chopped—is featured on their site on the “ChopTops Tribute” page. Is it wrong that they even have a chop-tops tribute page? Regardless, this car is described as being in excellent condition with just 114,000 mile on the chassis. The blind-me white paint was resprayed just 7K ago and seems perfectly serviceable. That paint covers a heavily modified GT body, with fender arch extensions and the aforementioned 3-inch lower roofline. In back sits what the ad describes as a crate SBC sporting Vortec heads and a TPI intake. The install is via a V8 Archie kit, but the car is running without cats so smog tests will be an issue in places where such things are done. A Getrag five-speed abets the the V8 behind the seats, and the whole thing rolls on 17-inch Mille Miglia EVO 5 alloys and Toyo tires. New springs and poly bushings sit between those extremes. The interior features black leather on the seats and, obviously, headroom issues. The dash features the extra gauge cluster on top of the center stack, and all the plastic bits seem to have held up well even if the styling in here hasn’t. The seller says that the car has been well maintained, and that he’s selling it for his dad, who is apparently getting too old to drive it any more. That’s too bad as it’s obviously a unique ride and looks like it might just be a barrel of Juliard-trained monkeys to drive. What’s bad here? Well, apparently there’s a record of flood damage in the car’s history. The seller however, says that the title is clean. Just who exactly you’re expected to believe remains unanswered. He backs up his claim by saying that the Fiero was stripped to its monocoque frame when all the mods were massaged and no evidence of water damage was evident at that time. Speaking of time, I’m thinking it’s about the hour when we all need to vote on the price tag for this custom Fiero. That asking is $18,000 which while high for an ’87 Fiero, might be right for one with all the bonafides this car exhibits. What’s your take on this chop top, V8 Fiero and that $18,000 price? Does the car seem worth it to you? Or, does that price feel like it needs to be chopped too? H/T to Chaptal for the hookup! For $6,800, Is This The World’s Saddest GT40?